Decorative low-voltage halogen lights can be placed underwater or along garden paths. 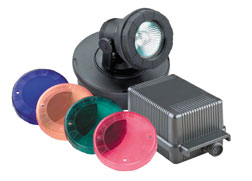 Available in 3-unit or single unit configurations with transformers and colored gels. Creates a dramatic nighttime water Feature. Comes with a 15' cord. 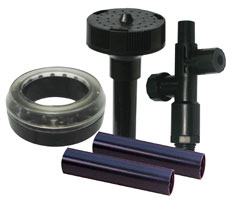 Diverter valve included for second feature and fountain spray height control.